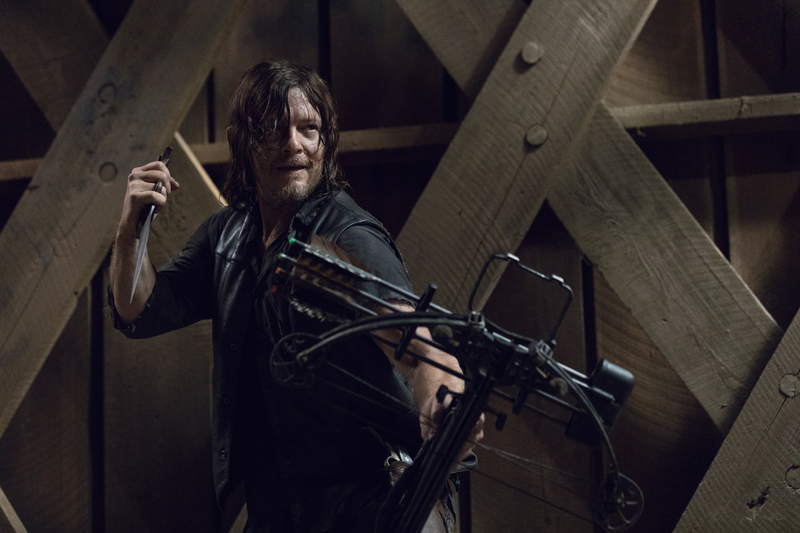 Each week, we comb through the guts of The Walking Dead, much like a horde of hungry walkers, to bring you the episode’s best moments, surprises, and other post-apocalyptic curiosities. This week: Negan climbs a wall, Daryl uses logic, and “Two-Hand” Luke gets a nickname. Longest escape plan: Negan realizes his cell is open during the night, but he isn’t caught climbing the wall to escape Alexandria until well after dawn. Also, despite Alexandria’s agrarian nature, the community’s only early riser is Judith? Most like reality TV: This week’s chapter shed light on a new relationship, a “for fun” tryst between Rosita and Saddiq. At this point, who in the group hasn’t slept with whom? Forever friendzoned: The answer to the question above, of course, is Eugene. He’s tried to pour his heart out to Rosita twice, only now to find out she’s pregnant with Saddiq’s child. Most convenient: The abandoned clothing shop just happened to have leather jackets left on its few hangers and just happened to have one in Negan’s size. The only thing better would have been if they had a large collection of baseball bats . . .
Best weakness exploitation: Daryl’s arrows-to-the-leg on possible Whispers pointed out the fatal fall in their plans—an uncontrollable scream blows their cover. Sure, it might mean two shots on any approaching foe, but better safe than sorry. Deadliest foe: Sure, humans disguised as walkers may be a formidable foe, but the Double Walker—a mobile undead with another walker stuck on its foot—can come at you from all three axes. Best band name: If this season ends without a performance by Alden and Luke’s Symphony of Awesome, we will be sorely disappointed. Poorest facsimile: Henry appears to be subbing in for Carl to carry over a comic-based plot with Lydia (who was Carl’s comic book love interest), but at this point, we’d rather have the more mature, latter-season Carl than this kid who’s still stuck in the annoying phase. The long con: Daryl masterfully exploited Henry’s tenderheartedness to get Lydia to talk. As the young Prince tries to find his place at Hilltop, it seems like his unwavering kindness could be a handicap—he needs a little more of mom Carol’s edge. Judith: A lot of people are looking for you. I told you there was nothing out there. Best kill: Negan’s spirit. His walkabout left the Big Bad villain more broken than his former Sanctuary. One afternoon showed what Rick wanted him to see from day one: the world had moved on. It will be interesting to see how Negan finds his place now, especially as a new threat looms with the Whisperers. Episode MVP: Judith. Arguably the most precocious kid this show has seen, she not only knows how to handle a gun and keep calm under pressure but also has excellent comebacks (see above exchange). 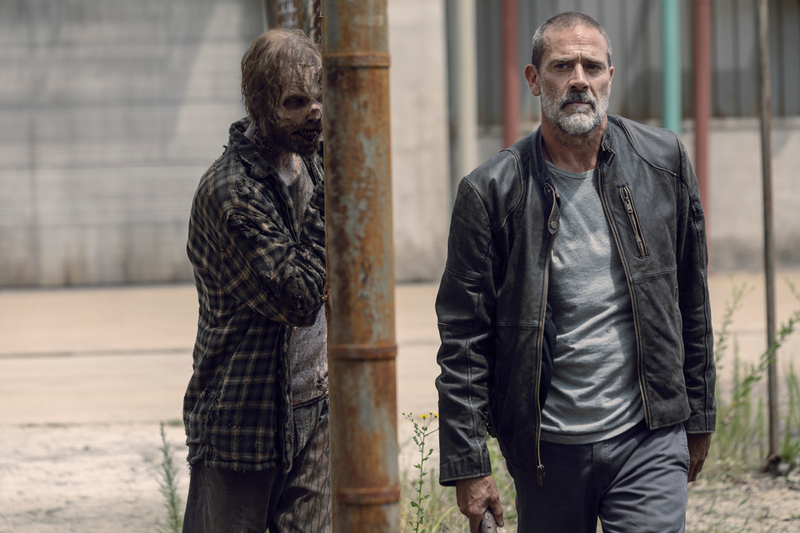 Assuming Negan does go back to Alexandria and is able to keep up a report with her, their relationship promises to be one of the most entertaining this show has to offer.